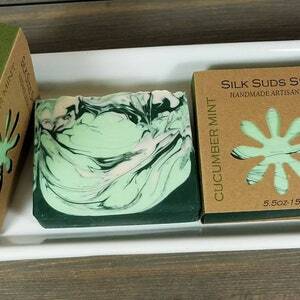 OMH Cold Process Soap is an all-natural and fragrance free soap full of skin nourishing ingredients! 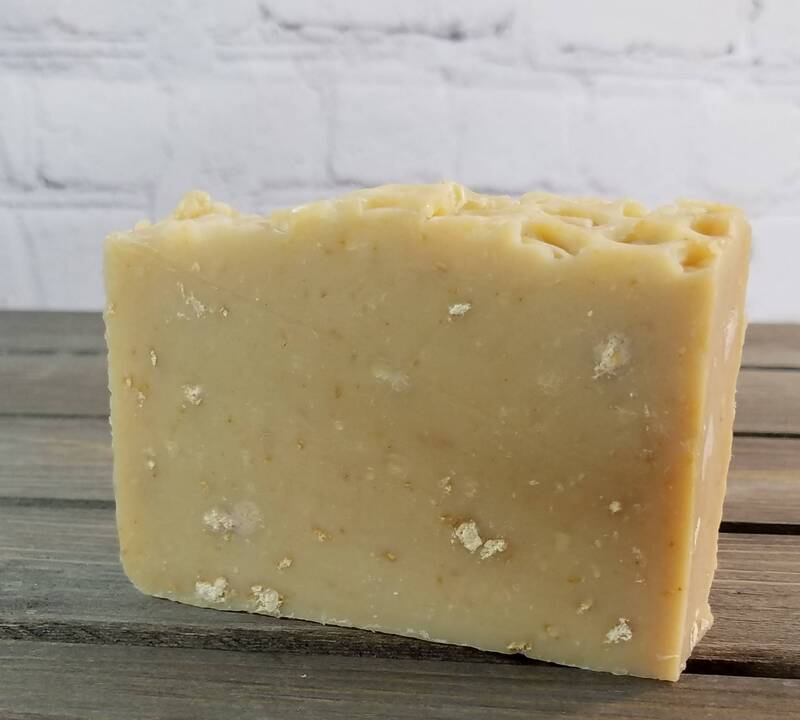 This bar includes colloidal oatmeal, raw honey, coconut milk, unrefined shea butter and other fantastics oils to hug your skin. 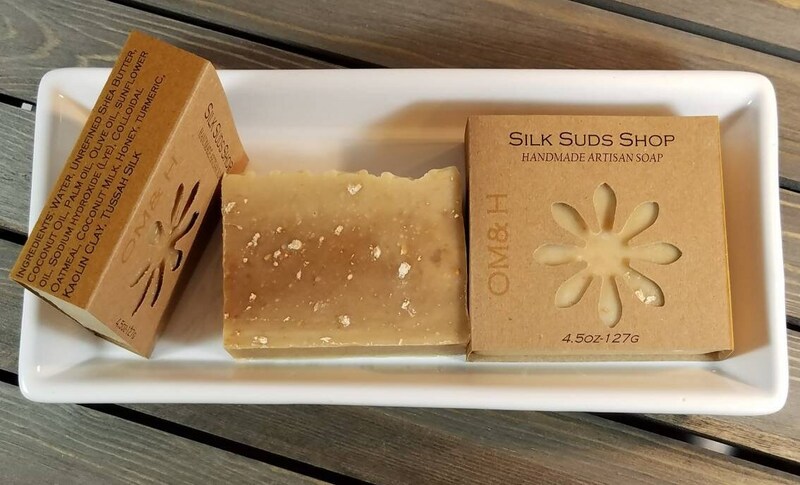 OMH is an ideal soap for sensitive and problematic skin. 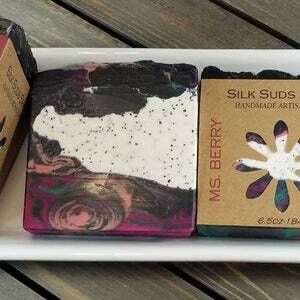 You will receive one 4- 4.5 oz bar of soap, the dimensions are 3.5"(L) x 1"(W) x 2.5" (H), weight and measurements are approximate. 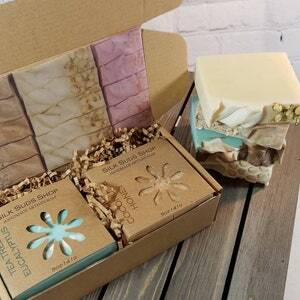 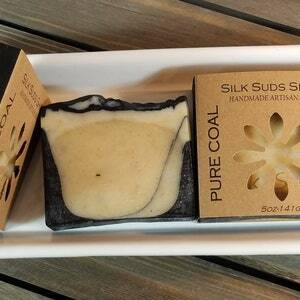 Each bar is silk infused and packed with skin loving oils and butters that create a rich and creamy lather. 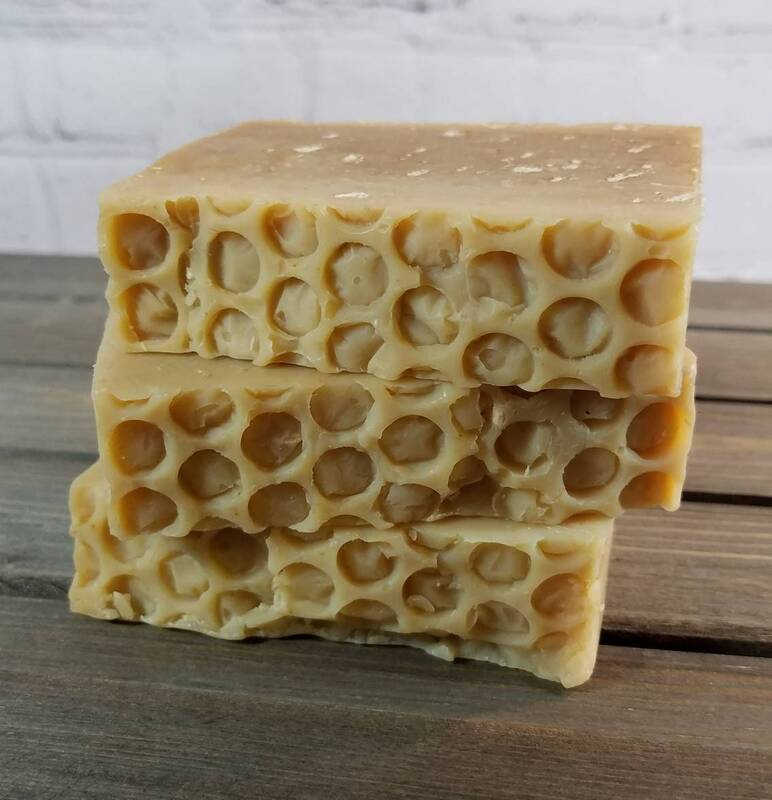 Due to the handmade nature of the soap, no two bars will look alike, but of course, this adds to the beauty of handmade soap.